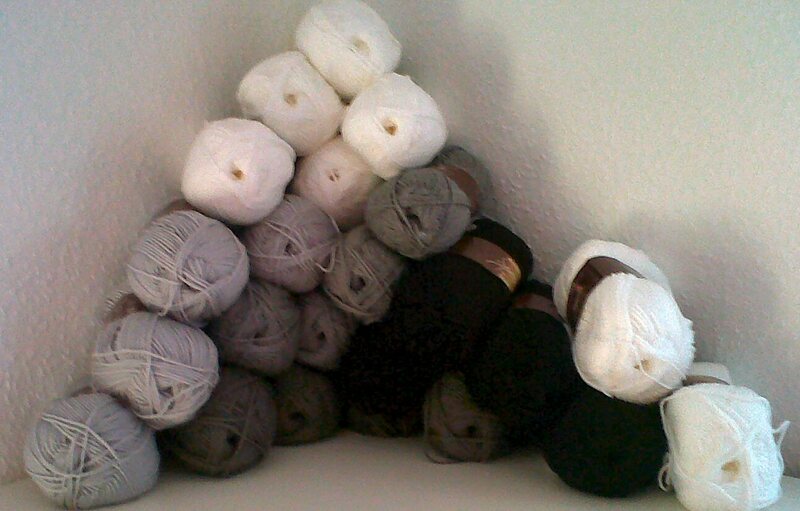 Oh yes I have more new yarn. This is the second batch of the Stylecraft Special DK to go alongside the yarn I bought here, and this one came from Wool Warehouse. Their delivery was just as quick as Deramores, there was just a limit to how much yarn I could carry home from work in one day. Ignore the weird blueish tinge to this I'm not sure quite what was going on with the camera at this point. 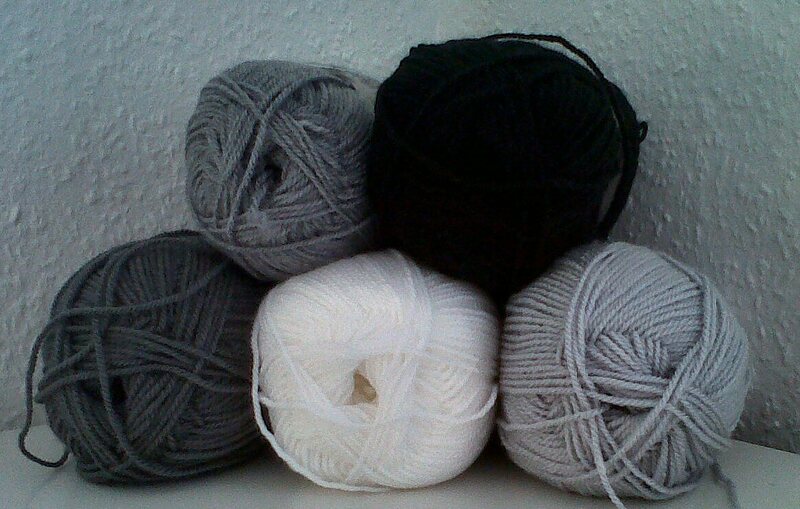 There are more balls of white than the greys and black because some of the white is to go with the colours to make a Pop blanket. As for the greys etc I may have changed my mind about those. I was going to make a Granny stripe blanket, but then I realised this could be a great colour combination to make the Ombre alpaca blanket I've had my eye on for awhile (although obviously alpaca-less). It's supposed to be knit on 8mm needles, which should theoretically make for a quick knit but in real life I find thicker needles more awkward to knit with, so I am a bit concerned it could end up being a slow and awkward knit especially as there are a lot of slipped stitches in it so I wouldn't settle into a rhythm like I have done with my 15 stitch blanket. I may possibly at the end have enough yarn left for a Granny stripe cushion cover which would at least pacify my craving to do some crochet. Which would you make? A crochet Granny stripe blanket, or a kitted Ombre blanket?